Medilink is running a series of seminars for clients and staff in April at its Tripoli (Libya), Hassi Messaoud (Algeria) and Malta operations to raise awareness of mental health issues that can affect remote site workers. The seminars, entitled ‘Let’s Talk About Depression’, cover the signs, prevention and treatment of depression and are being held in support of the World Health Organisation’s World Health Day 2017. World Health Day campaigns present an opportunity to highlight global health issues, encouraging communities, companies and other groups to create awareness events at national, regional and local level. Each year, World Health Day focuses on a health issue of widespread concern; previous campaigns have included issues such as food safety and diabetes. Depression can affect people from all walks of life and ages and in all countries. It can have devastating effects for the people concerned whose mental anguish can prevent them carrying out even the most routine and simplest daily tasks. It can severely restrict their ability to function and interact normally within their family and professional lives. Depression also brings others into its sphere, impacting family, friends and colleagues. 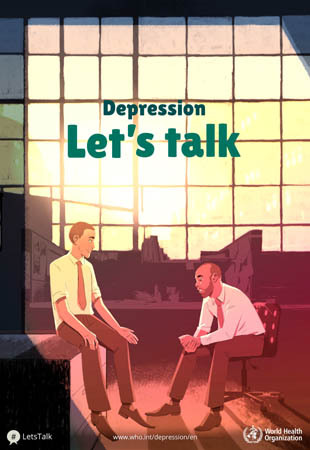 However, as the WHO states, depression can be prevented and treated: “A better understanding of what depression is, and how it can be prevented and treated, will help reduce the stigma associated with the condition, and lead to more people seeking help”. Someone with a mental health disorder is 41 per cent more likely to have an accident at work, according to 2013 research* by the Centre for Rural and Remote Mental Health (RRMH) in Australia. In addition, high stress levels can lead to or heighten mental health disorders such as depression, anxiety, psychoses and suicide, and can also lead to binge drinking and drug abuse. The RRMH’s research further shows that one in three people working in rural and remote areas has a mental health disorder. 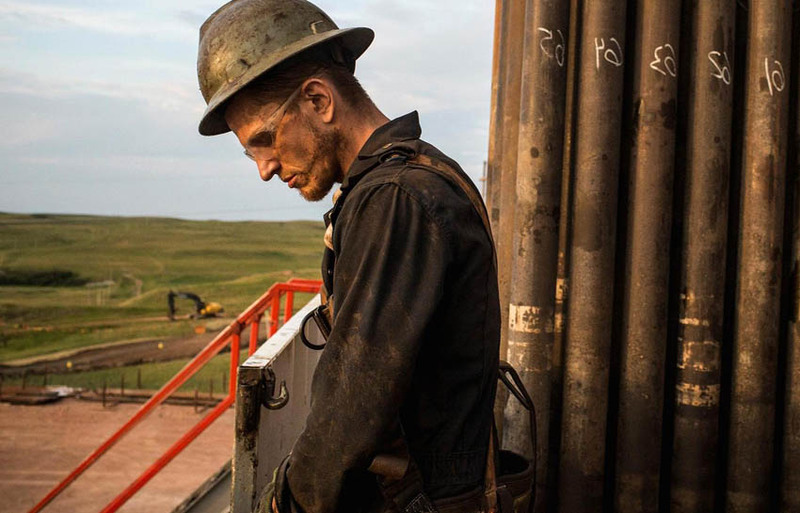 At remote sites, employees are isolated on camp away from family and friends, work demanding rosters, need to adhere to stringent health and safety regulations and have to carry out critical roles within teams. All these factors contribute to causing, and exacerbating mental health issues. Companies who ignore mental health in the workplace will inevitably face losses in productivity and profitability. Work-related mental health claims are considerably more expensive and resource intensive than other workers’ compensation claims and usually result in longer workplace absences. Yet, despite the statistics, personal anguish and economic realities, depression and other mental health issues can go unnoticed or neglected by both workers and employers for numerous reasons. For example, employers may simply not recognise their signs nor be equipped to support sufferers, while employees may fear being stigmatised if it is known they are seeking help. Workplace health promotion is a critical tool in building the awareness around identifying and supporting people with mental health problems and changing the current culture that exists. Medilink International recommends the use of simple tools which can be customised for individuals, worker groups and managers to be able to recognise early signs and symptoms, and encourages a culture of seeking early intervention. It is important that the remote workers are provided with appropriate onsite clinical support to ensure they have access to optimal care and treatment of mental health disorders. When planning medical services for remote sites, the resources sector is ideally placed to lead the way, as it has in safety performance, and invest in proactive mental health initiatives to turn around the negative health outcomes now associated with remote work. Medilink has long been involved in diagnosing the first signs of depression and in helping to prevent it as well as treat sufferers of depression. As a remote medical services company, we are sensitive to the signs of depression among staff working in extreme environments. We run Fitness-for-Work, pre-employment assessments which are designed for individual client requirements and act as an early warning of actual or potential psychological issues such as depression. In addition, our Occupational Health Services provide ongoing assessments during employment tailored to the physical and mental health hazards endemic in remote site working as well as to employees’ specific roles and responsibilities. We can provide specialist occupational health professionals on site, and all Medilink country clinics offer OHS services. Medilink also runs regular health awareness programmes for clients covering health issues relating to the local region in which they operate. The medical profession is renowned as one of the most stressful occupations and medics deployed to remote site clinics may be all the more susceptible to psychological stress on the job. At Medilink, we offer immense depth and breadth of support and CPD training to our medical staff and are cognisant of the realities and exigencies they face daily in delivering world-class remote medical services. We take exceptional measures not only in recruiting but also in supporting our own medical teams in the field. We are totally committed to their well-being at every stage in their assignments with us. The seminars are free but are on a first-come-first-served basis with priority given to our clients and their staff. Please email Sirly Raavel to reserve a place for any of the seminar dates and venues. Tripoli Seminar: this takes place on 6 April. Hassi Messaoud Seminar: takes place on Thursday, 13 April at 14:30 at the Medilink Hassi Messaoud Clinic. Malta Seminar: is on Monday, 24 April at 13:30 at the Medilink Head Office.